Pet owners have trusted the veterinarians and staff of Town & Country Animal Hospital in Aubrey, Texas with the care of their beloved companions since 1998. From routine pet wellness to advanced diagnostic and surgical procedures, our level of personalized veterinary care is unparalleled. Our Aubrey veterinary facility, located on founding veterinarian Dr. Strittmatter's home farm, is an ideal location for both small and large animal care. We also understand that there are times when veterinary care is best received at home or on your farm. 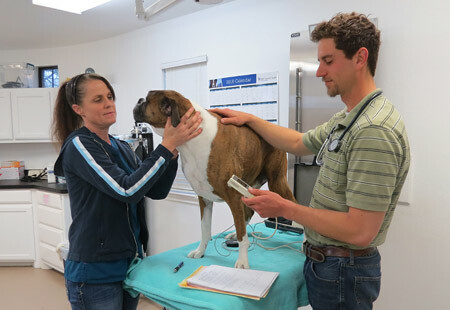 Whatever your Aubrey pet's needs, Town & Country Animal Hospital's veterinarians and staff are committed to treating each and every animal as one of their own. Please explore our mobile website for more information about our services. For more information, please give us a call at (940) 382-1986 or visit our full website.